The countdown is well and truly on for Christmas, with less than a month to go, it’s time to get organised. We have some present ideas for the Red Carpet Manicure obsessive in your life, or the nail enthusiast looking for a new hobby. Help your favourite nail enthusiast get started on their professional at home gel manicure journey with a Red Carpet Manicure Starter Kit. Each Starter Kit contains enough for 25 manicures! 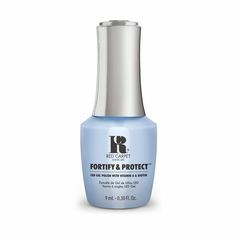 Contains: Professional LED Light (with timer function of 45 seconds) PURIFY Pre & Post Application Cleanser (59ml) PREP Max Adhesion Sanitizer (9ml) STRUCTURE Base Coat Gel (9ml) BRILLIANCE Seal & Shine Top Coat Gel (9ml) ERASE Gel Nail Polish Remover (59ml) REVITALIZE Nourishing Cuticle Oil LED Gel Polish (9ml) in Creme de la Crème, 20 Remover Wraps, 20 Lint Free Wipes, 5 Orange Wood Sticks, 1 Cuticle and Pro Buffing Stick 2 Adhesive Buffing Tap Strips 1 Emery Board. Great for on the go! Got a nail enthusiast going travelling or off to university? This could be the present to get you all the favourite brownie points. For extra brownie points, why not add on the Remover Kit? Pamper those nails with the recently launched Red Carpet Manicure Treatments, designed to help you grow strong, long nails and master the art of nail art! Discover the perfect treatment with our blog post. Upgrade your mani game with the Salon Pro 5-30 LED light. The Professional Salon Pro 5-30 5 finger LED Light cures each stage of your at home Red Carpet Manicure in 30 seconds, operating on a timed system. Faster curing time 30 second auto-set timer button Cures all 5 finger or toes at once and has a Finger or Toe Stopper for proper hand placement. Acetone resistant for easy clean up High-performance LED light consistent power and performance from first application to the 50,000th hour of use 18 watt LED light for maximum curing Never need to replace bulbs Available in 100-240 volt adaptor plugs with one year warranty. 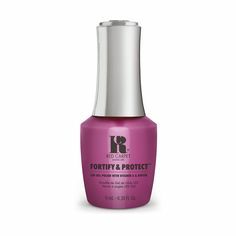 Red Carpet Manicure's Professional LED Light is the must-have staple to get started with your at home gel polish manicures. It quickly activates Red Carpet Manicure's gel polishes, base coat and top coat within seconds for high shine and long-lasting results and can also be used with the Red Carpet Ready one step manicure system. Cures four fingers at a time. Red Carpet Manicure's portable LED Light is slim and sleek - perfect for being on the go! It quickly activates Red Carpet Manicure's gel polishes, base coat and top coat within minutes for lasting colour and shine and can also be used with the Red Carpet Ready one step manicure system. The light is battery operated but can also be plugged into a USB/AC Port, the must-have product for any aspiring nail artist.